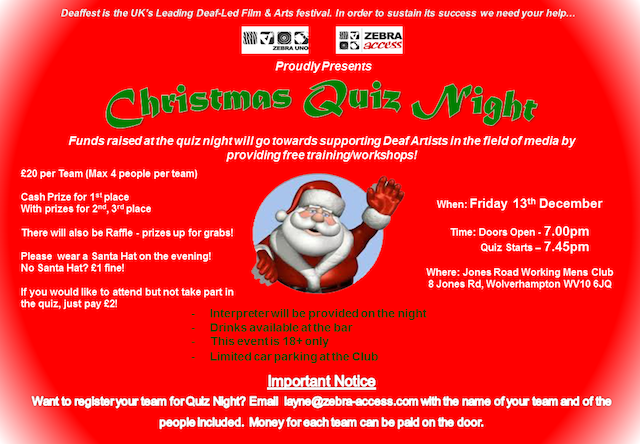 Greetings folks, we’re pleased to announce that we will be hosting a Christmas Quiz Night! The money raised from this event will go towards supporting Deaf people in the fields of media and arts by providing free training and workshops at Deaffest! Please see poster for more information; we hope to see you there! Posted by Deaffest on November 19, 2013 in News, Opportunities.